I bought this a long long time ago, tapi tak review review sebab tak sempat. Bought this at Watsons for around RM40+ kalau tak silap. The sun can make your skin age prematurely. Step out worry-free with long-lasting protection against harmful UV rays. 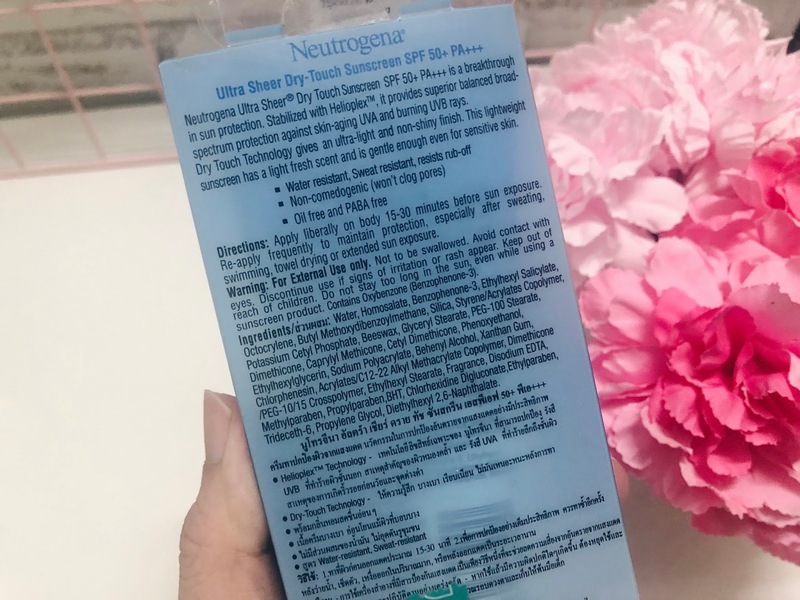 Neutrogena® Ultra Sheer Dry Touch Sunscreen provides superior balanced broad-spectrum protection against skin aging UVA and burning UVB rays. Its ultra-light texture makes you feel like you have nothing on. Helioplex™ Technology ensures that sun protection doesn't break down, effectively blocking damaging UVA and UVB rays. 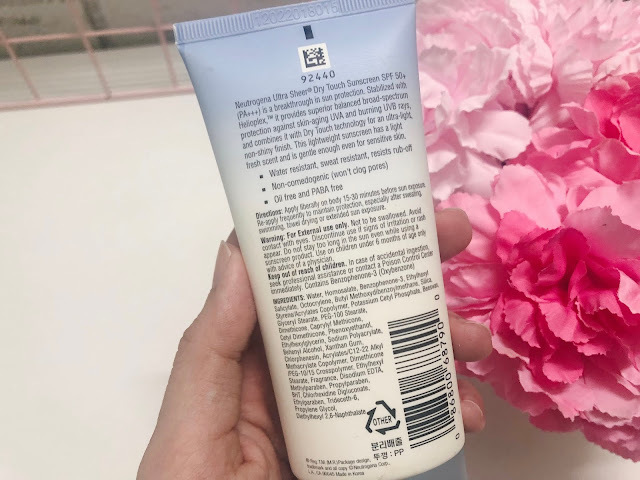 Dry-Touch Technology keeps your skin shine-free and clog-free. 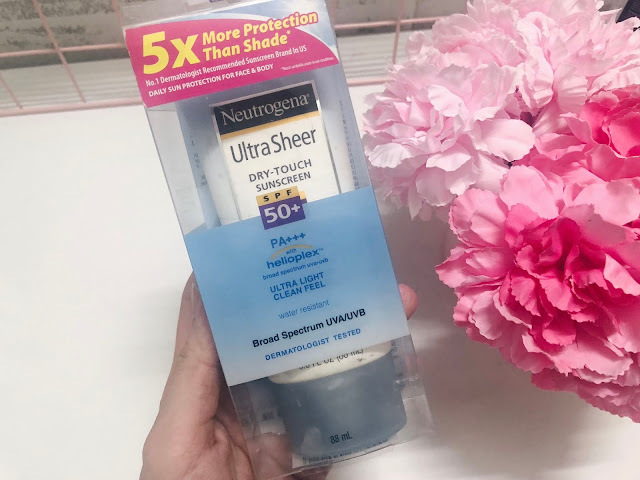 Neutrogena® Ultra Sheer Dry Touch Sunscreen protects the integrity of your skin barrier by shielding it from UV-induced damage, helping your skin stay youthful. Here is the ingredient list. It has no alcohol in it. It uses Helioplex technology. From what I read, Helioplex is the combination of avobenzone + oxybenzone filters that makes the sunscreen stable. The UV filter used are Homosalate, avobenzone, oxybenzone, Ethylhexyl Salicylate. 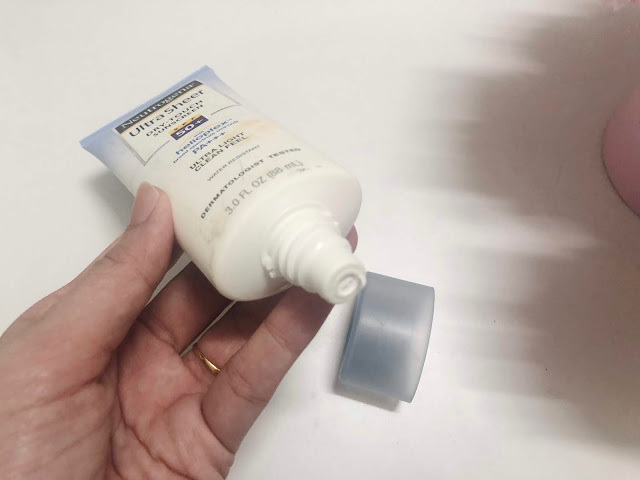 This is a chemical sunscreen. It comes in a 88ml white opaque plastic tube with a screwable cap. The nozzle is quite big a kena picit baik baik supaya tak terkeluar banyak. The details are printed clearly on the tube and the plastic box. White creamy texture. The texture is quite thick that makes it hard to absorb kalau guna banyak. My criteria for a good sunscreen is firstly, how it feels on my skin. Kalau semua elok tapi dekat my skin rasa tak best, tak best jugak kan. For my dry skin, the texture is a bit thick and rasa melekit bila guna. It has a slight whitecast and it's hard for me to adjust using this. Pakai sikit sangat, rasa tak cukup protection. Kalau pakai banyak sangat, rasa melekit pulak. Secondly, I felt a slight burning sensation while using this. Not slightly lah. 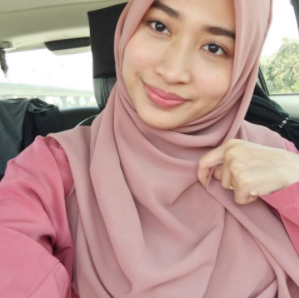 Rasa pedih jugak. It makes my skin red after using this. 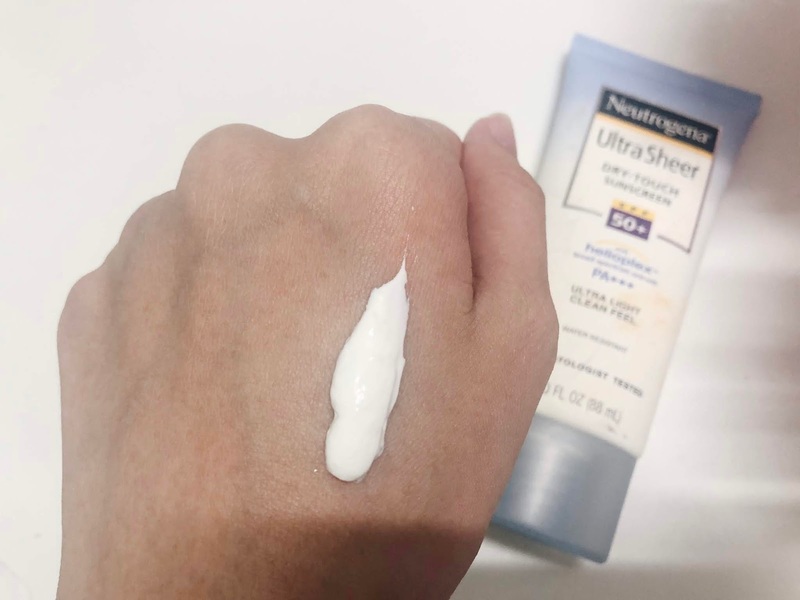 I'm not sure because my skin is a bit sensitive during that time or because of this sunscreen. Tried a few times, still not loving it. The scent is also a bit off for me. The SPF and PA rating is okay for me kalau duduk Malaysia. 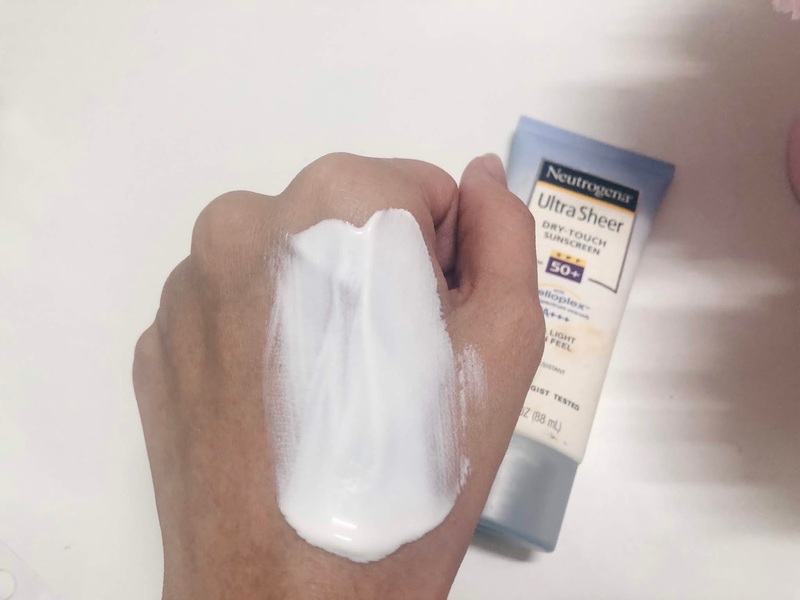 Enough UVA and UVB protection as long as you use it properly, bukan pakai calit calit je. The good thing is, it has no alcohol, minimal white cast and easy to get. The price is RM40+ for 88ml is quite affordable. Disclaimer: This is not a paid/sponsored review. I bought this product with my own money. Every skin is different. Results from using this product may vary depending on your own skin. What works for me, might not work for you. This is just my personal experience.